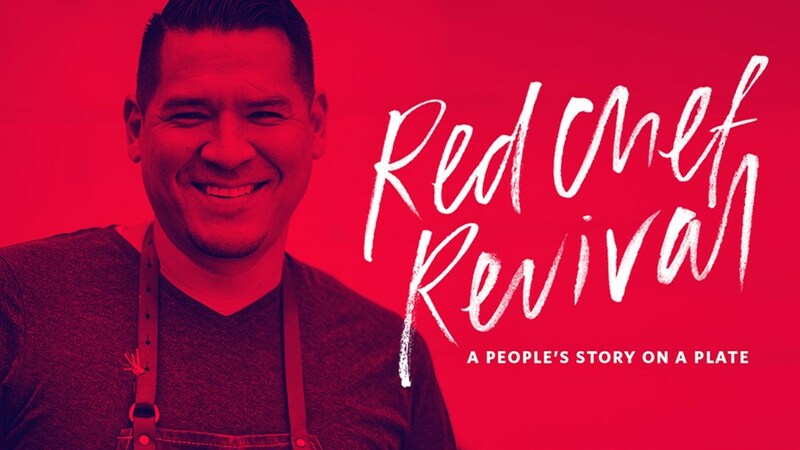 Explore the power of reconciliation through food at the world premiere of the anticipated new docu-series, Red Chef Revival. A long-neglected culinary tradition, Indigenous cuisine is being reclaimed and reinvented by a new guard of chefs from across Canada. Bringing pre-colonial ingredients to the modern table, Six Nations Chef and Top Chef finalist Rich Francis is decolonizing Canadian cuisine, one dish at a time. Algonquin Chef Cezin Nottaway is proud to use ancestral methods learned by her grandmothers—but with a modern twist. Chopped Canada finalist Shane Chartrand, who didn’t discover his Enoch Cree heritage until his 20’s, is using his passion for food to heal and tell his story. At this special three-episode preview, follow these three trailblazing chefs as they visit First Nations communities from the Northwest Territories to British Columbia in a candid journey towards truth and healing. Taste the food you see on the screen! Admission includes a special menu of appetizer, main, dessert and cocktail created by the award-winning chefs featured in the series. Followed by an on-stage discussion with Rich Francis and Cezin Nottaway moderated by Kathleen Padulo. Since 2013, STORYHIVE has proudly supported compelling original storytelling reflecting a diversity of voices, ideas and views. Providing funding, distribution and customized career training for content creators and screen-based storytellers across BC and Alberta to hone their skills, take risks and bring the projects they care about to life.